IF IT FITS YOUR MACROS DIET PLAN TRAINS YOU ON HOW TO LOSE WEIGHT, BUILD MUSCLE, LOSE BODY FAT, & MAINTAIN A HEALTHY LIFESTYLE FOR THE PERFECT PHYSIQUE! Learn The Secrets Of The Pros: Get The Body Of Your Dreams Eating Foods You Love! Learn how to lose weight successfully and with ease. Plus learn how to maintain your weight loss in the future. Learn how to build muscle properly by adding lean quality muscle mass NOT just weight gain. Learn how to lose body fat and dramatically improve your body composition. Learn the keys to successfully maintain a healthy lifestyle long into the future and keep all your hard earned results. Learn how you can achieve your fitness and health goals and build your perfect physique eating all the foods you love. No need to deprive yourself or restrict “bad” foods ever again. Learn how to apply the key principles and methods in this book to set yourself up for success and ultimately build your perfect physique. Join NOW For Exclusive Offers, FREE Bonus Content, Book Updates, Recipes, Success Strategies and More! We respect your privacy and will never share your details with any third parties or spam, EVER. If you want a coach that really cares about you and your goals there is no one better for the job then Tyler! One of the things that I like the most about Tyler is he sets you up to be able to live a healthy lifestyle and teaches you how to do it on your own unlike gyms where they will want to train with you every time which in the end I feel will make you rely on them to keep on track. Your workouts always change which keeps you motivated to try new things it’s nice to know you’re not doing the same thing over and over. In short if you’re looking to get fit, shred pounds or get that dream body for the summer months at a good price and do it with someone you can call your friend, Tyler is the person you need to train with! Tyler is an amazing personal trainer! He personalizes your workouts and gives instructional videos to make working out easier. 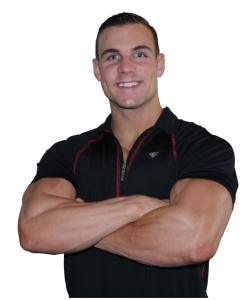 Tyler is approachable with any issues you have about your health or any issues with workouts or meal plans. I have allergies to certain foods and Tyler was able to cater to my problems. If you are ever tired of what you are eating, Tyler gives other alternatives and loves to cook! He gave me so many recipes that I still use in my regular meals and taste delicious! I had hoped I could keep up with this and not fall off track again and Tyler has helped me do that. I also wasn’t sure how well I would do in a gym setting as I had never gone to one before by myself. Overall this has been an amazing experience so far and I would recommend Tyler as a trainer and this program to anyone who asks. Before training with Tyler, I wasn’t sure if I would be able to adhere to the diet/ keep track of things but with the nutrition guide, information on macro tracking and macro updates I’ve been able to achieve some great results! 2. Gain more power and strength to translate into my sport. • Become much more knowledgeable on fueling my body with the right macros. Before we started working together, I was a little hesitant on spending the money. I didn’t have a job at the time and I know that health is a number one priority for me, but I wasn’t sure if I was going to be able to pay for this program and save up my money for other things in the year. But the cost turned out to be very reasonable and I made it happen! • Improvements in my back so much! It looks amazing! • I know how to cook now and it’s awesome! • I have well-rounded knowledge about health and fitness. • I am more knowledgeable about exercise and nutrition. • My strength has ridiculously improved, and I have higher stamina and endurance than ever before! First 50 Reviews Get A Free Copy Of The Physical Book When It Is Released! 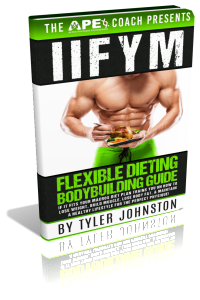 Go the The Amazon Page for "IIFYM Flexible Dieting Bodybuilding Guide" and Purchase The Book Today. 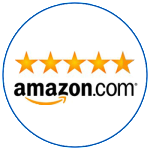 After you've gone through the first few chapters and see that you have gotten value out of the book, Go Ahead and Leave a REVIEW on the Amazon Page. A logical, practical approach to fitness and nutrition that sets you up for success. I highly recommend this book! TONS on amazing information in this book. Expertly written by a great online and personal trainer. Would recommend to ANYONE looking to lose weight, build muscle and get healthy! Never met someone so knowledgable on fitness. This book is a MUST READ! Great read for anyone looking to make changes to their physique. Dieting is tough but once you understand the concepts it really can help you take it to the next level. I recommend this book to anyone and everyone! A portion of the proceeds from every book sold will go to Nutrition for Learning to help ensure the children and youth here in Waterloo Region are able to go to school well nourished! "Nutrition for Learning's mission is to enhance the ability to learn by ensuring that each student attends school well nourished." 1/10 children arrives at school without enough food to sustain them an entire day. 46% of Food Bank recipients in Waterloo Region are children. 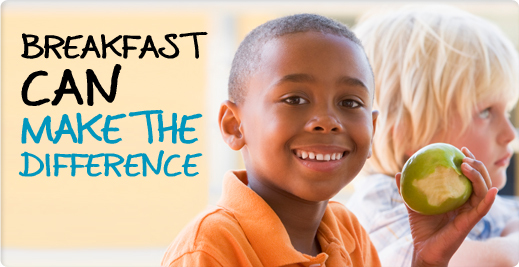 31% of Grade 4 students do not eat breakfast; by high school this ratio increases to 62%. Childhood obesity has tripled since 1981 partially due to eating prepackaged convenience foods, high in salt, fat and sugars. Children born after the year 2000 are expected to be the first generation to not outlive their parents. Every child deserves the right to have breakfast, to have access to nutritious food to support them throughout the day. Children don't get to choose their socioeconomic status when they are born, we are not all equal in our opportunities or resources, and by purchasing this book today, you are helping to give the children and youth in our community the opportunity for a better, healthier life. Every one of you that purchases this book is helping to contribute to the nourishment of the youth in the local community. So I would like to say Thank You So Much, from the bottom of my heart! The GOAL is to raise $2000+ to donate to Nutrition for Learning from book sales in order to be able to fund an entire NEW Nutrition for Learning program in a school in our community! Please help make this a possibility by purchasing this book, gifting the book to friends and family, and spreading the word of this fantastic book and its impact to as many people as you can! 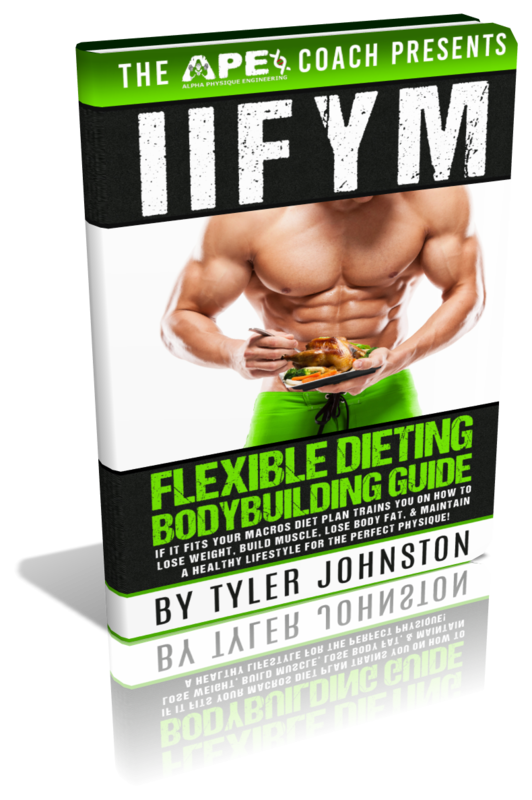 Get The "IIFYM Flexible Dieting Bodybuilding Guide" Book Today!